Let’s add a new giant lord to Storm King’s Thunder! Recently two of my favorite books came out for fifth edition Dungeons and Dragons. The first is Storm King’s Thunder. I love this new adventure for its scope, modularity, characters, lack of ticking clock, tie-ins to other published adventures, and original story. Then there’s the Tome of Beasts. This little number from Kobold Press is the unofficial sequel to the Monster Manual. It holds over 400 new creatures and fills in the monstrous gaps of its predecessor. 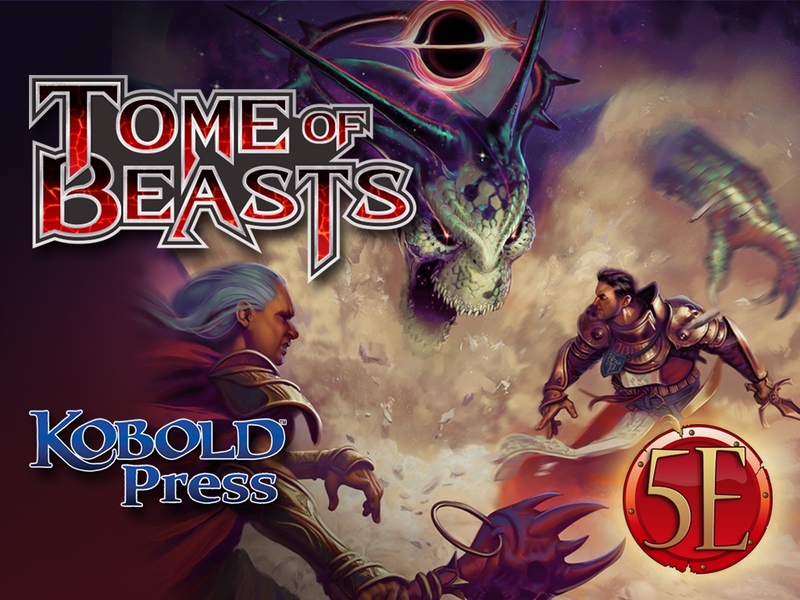 After I read Storm King’s Thunder, I immediately grabbed my copy of Tome of Beasts and flipped to G, looking to see what baddies I could add to the adventure. It was then that the nomadic, history-loving desert giant caught my eye. Why not add a desert giant lord to the events of Storm King’s Thunder? After all, the adventure (written by Chris Perkins) recommends I do just that. My plan is simple. I’m adding a desert giant lord to Storm King’s Thunder. I’ll be showing off the work right here on this blog so you can add your own giants to your play through and/or take what I’m writing for your own purposes. This is the first in a series of blog posts that outlines who this giant lord is, her plan to climb the ranks of the new ordning, and ways to work that plot into Storm King’s Thunder. The posts after will focus on the giant’s lair. At the end of the series we should have a fully form supplement you can download and add to your game in the form of a free PDF. Just who is this mysterious desert giant lord and what’s she up to? Below is information you can add to different chapters of Storm King’s Thunder. Add the following information to “The Giant Lords” section of the introduction. Zeif, an emir of the nomadic desert giants, thinks the only true power is knowledge. She plans to secure her place in the ordning by freeing and speaking with a Jotun giant that her ancestors imprisoned long ago. By deciphering the knowledge desert giant elders inscribed onto their skin, she found the Jotun’s prison,Dorsnarg Pyramid, in Anauroch. The same information provided a ritual to unseal the Jotun’s cell, but it requires multiple cloud, fire, frost, hill, and stone giant skulls. Zeif wants to open the cell and speak with the Jotun, learn its ancient knowledge, and then form an alliance with the powerful being so none challenge her reign over all giant kind. To that end, she has sent the desert giant warriors of her tribe into the North so they can claim the heads of their kin to be used in the unsealing ritual. Add the following encounter to the “Unfriendly Skies” section of the “Tower of Zephyros” section of chapter 1. This encounter occurs of the tenth day of the party’s journey and occurs only if they are traveling to Goldenfields. A desert giant who is a member of Emir Ayla Zeif’s tribe spies the tower and assumes there is at least one cloud giant head inside that can be given to his leader. Any character standing guard outside Zephyros’s tower or watching the sky from the tower’s aerie spots danger approaching if his or her passive Wisdom (Perception) score is 12 or higher. Speeding up from beneath the tower is a huge, dark-skinned giant on the back of an enormous bird of prey. The giant’s skin is inscribed with runes and it carries a large falchion on its hip. Alitook (a male N desert giant) rides on the back of a roc up to the tower. He lands, dismounts, and enters the tower’s first level, calling out a request in Giant to see the master or mistress of the tower. If any characters are around, Alitook instead approaches them and makes his request to them in polite Common. When Zephyros hears Alitook or if the characters tell the cloud giant about the approaching desert giant, Zephyros reacts with fear. Without explanation, he asks the characters to tell the desert giant something that will make him leave. Alitook gladly speaks with the characters, asking them if there are any giants in the tower. The desert giant lies and says he is on a mission from Emir Ayla Zeif who wants to unite the giants in this time of trouble. A DC 12 Wisdom (Insight) check reveals Alitook isn’t here on a diplomatic quest. A DC 14 Charisma (Deception) check convinces Alitook that there are no cloud giants within the tower and he hops on his roc and leaves. If a character fails the check or mentions the presence of Zephyros, Alitook demands to see the cloud giant. If this request is refused, Alitook begins climbing the walls and if he sees Zephyros, he attacks. If combat breaks out, Alitook tries to climb his way up the tower to get to Zephyros, attacking any creatures in his way. He has no rocks, so he can only make attacks with his falchion. His roc does no join the fray, but takes flight and begins circling the tower, waiting for Alitook to whistle for it. Zephyros casts mass suggestion to convince Alitook to leave and then greater invisibility so the desert giant cannot find him. If reduced to 75 hit points, Alitook whistles for his roc and tries to flee. If Zephyros is killed, Alitook uses his next action to behead the cloud giant and then tries to flee on his roc with Zephyros’ head. When Alitook is no longer a threat, Zephyros informs the characters of rumors he’s heard from other giants. Desert giants are coming out of Anauroch in droves murdering any cloud, fire, frost, hill, and stone giants they can find. They all say they work for Emir Ayla Zeif and all are looking to collect the heads of their victims. This is highly unusual for the nomadic and normally isolationist desert giants. If Alitook is captured, a DC 14 Charisma (Intimidation) check gets him to reveal that Emir Ayla Zeif has read the inscriptions on the skin of elder desert giants and ordered the warriors of her tribe to seek the heads of other giants in order to recover lost knowledge. He does not know the specific purpose of the heads and under no circumstances reveals the location of Dorsnarg Pyramid. The roc flees if Alitook is captured. Alitook has a sack containing 3d6 × 100 cp, 2d6 × 100 sp, 1d6 × 100 gp, and one mundane item, determined by rolling on the Items in a Giant’s Bag table in the introduction. During the battle at Bryn Shander, Goldenfields, or Triboar, odds are at least one of the giants involved will flee the scene if defeat is imminent or its goal is accomplished. When a giant flees and is out of the weapon ranges of most characters, but still within sight, two desert giants (named Naymar and Allyaia) come out of nowhere and overwhelm the giant. By the end of their second turn Naymar and Allyaia have knocked the other giant prone. By the end of their third, Naymar has decapitated the giant and handed the head to Allyaia. The giants then run off into the wilderness together. If the desert giants are captured, a DC 14 Charisma (Intimidation) check gets them to reveal that Emir Ayla Zeif has read the inscriptions on the skin of elder desert giants and ordered the warriors of her tribe to seek the heads of cloud, fire, frost, hill, and stone giants in order to recover lost knowledge. They do not know the specific purpose of the heads and under no circumstances reveal the location of Dorsnarg Pyramid. Each desert giant has a sack containing 3d6 × 100 cp, 2d6 × 100 sp, 1d6 × 100 gp, and one mundane item, determined by rolling on the Items in a Giant’s Bag table in the introduction. Add the following text to any encounter involving giants in the “Random Wilderness Encounters” section of chapter 3. At the start of the third round of combat, roll a d10. If the result is a 1, a desert giant appears and begins attacking any other giants. If the desert giant survives combat, it beheads any cloud, fire, frost, hill, or stone giants and ties the heads to its belt. The desert giant does not attack the characters unless they attack it first. A DC 14 Charisma (Intimidation) or (Persuasion) check convinces the desert giant to reveal that Emir Ayla Zeif has read the inscriptions on the skin of elder desert giants and ordered the warriors of her tribe to seek the heads of cloud, fire, frost, hill, and stone giants in order to recover lost knowledge. It does not know the specific purpose of the heads and under no circumstances reveals the location of Dorsnarg Pyramid. The desert giant has a sack containing 3d6 × 100 cp, 2d6 × 100 sp, 1d6 × 100 gp, and one mundane item, determined by rolling on the Items in a Giant’s Bag table in the introduction. Make the following additions to the “Locations of the North” section of Chapter 3. Any time the characters travel from one place to another, roll a d20. On a result of 1, they encounter a headless giant body along the way. Roll a d6 to determine the type of giant body they encounter: 1 for cloud, 2 for fire, 3 for frost, 4 for stone, and 5-6 for hill. Add the following suggested encounter to the “Ascore” section. While the characters are in Ascore, they notice two desert giants (females named Yalaya and Rabira) pass by the ancient ruin. Each has the head of a frost giant tied to her belt. If approached by the characters, a DC 14 Charisma (Intimidation) or (Persuasion) check convinces them to reveal that Emir Ayla Zeif has read the inscriptions on the skin of elder desert giants and ordered the warriors of her tribe to seek the heads of cloud, fire, frost, hill, and stone giants in order to recover lost knowledge. If the characters know where to find any such giants nearby, the desert giants offer to reward them with 100 gp from their sacks (see “Treasure”). They do not know the specific purpose of the heads and under no circumstances reveal the location of Dorsnarg Pyramid. If the characters try to follow the Yalaya and Rabira, they quickly get noticed by the clever giants on their home terrain. The giants creep over a dune out of sight and then bury themselves in the sand, rising up to take the characters by surprise, fighting to the death. They do not pursue any characters who flee. They simply do not want to be followed to Dorsnarg Pyramid at any cost. Treasure. Each desert giant has a sack containing 3d6 × 100 cp, 2d6 × 100 sp, 1d6 × 100 gp, and one mundane item, determined by rolling on the Items in a Giant’s Bag table in the introduction. Add the following suggested encounter to the “Luskan” section. A member of the Arcane Brotherhood, Vadul Sasson (male CN mage), recovered the body of a desert giant warrior outside of Luskan a tenday ago. He found the body a curiosity so far from the desert and ordered it taken into the tower so he could study the inscriptions on its skin. A short time after the characters arrive in Luskan, three desert giants (two males named Amed and Fabreiz and a female named Marya), walk into Luskan’s harbor out toward the Hosttower of the Arcane and demand the body be returned. The dead desert giant, a male named Rahead, was looking for frost giants in the area so he could bring their heads to Emir Ayla Zeif when he took on too many foes at once and became overwhelmed. Desert giants reclaim the bodies of their dead, since the inscriptions on their bodies hold valuable information. The trio has tracked the body of Rahead here. Reeling from the attack of the frost giants, Luskan’s mages of the Arcane Brotherhood have depleted of many of their spells and resources. The desert giants begin hurling stones at the Hosttower of the Arcane, demanding the return of their dead. If the characters do nothing, eventually Vadul exits the tower, pleading with giants to be patient while his servants prepare the body for transport. On their next turn, the giants are brought the body. Amed and Fabreiz carry it away while Marya crushes Vadul to death with a rock before joining her companions. If the characters do intervene, they can convince the giants to calm down with a successful DC 16 Charisma (Persuasion) check made as an action. The giants calmly state their case and leave once Vadul hands over the body. If the characters fail the check or intervene by attacking, Amed and Fabreiz attack them while Marya continues to hurl rocks at the Hosttower of the Arcane. Every round on initiative count 0, two mages from the Arcane Brotherhood cast spells of 2nd level or lower that hinder the giants or aid the characters from the mage’s spell list. They are out of higher level spell slots. When one of the giants falls, the other two grab its body and flee. If captured or calmed, a DC 16 Charisma (Intimidation) or (Persuasion) check convinces the giants to reveal their purpose in Luskan. If pumped for more information, they reveal Emir Ayla Zeif has read the inscriptions on the skin of elder desert giants and ordered the warriors of her tribe to seek the heads of cloud, fire, frost, hill, and stone giants in order to recover lost knowledge. If the characters know where to find any such giants nearby, the desert giants offer to reward them with 100 gp from their sacks (see “Treasure”). They do not know the specific purpose of the heads and under no circumstances reveal the location of Dorsnarg Pyramid. Add the following text to the “Ancient Relic” section. In addition to the gold-plated tooth, the character unearths a yellow silk scarf embroidered with the stig (light) rune. The scarf is nonmagical, 10 feet long, and 2 feet wide. In addition to the boulder, the character finds the gilded tail of a giant scorpion. The tail is nonmagical, but it can be used as a weapon and has the same statistics as a pike. Add the following text to the “Suggested Encounter” section. Three desert giants (two females named Kayga and Isa and a male named Dariq) have been tracking the castle of the cloud giants from the ground. Count Nimbolo invites the characters to a private spot just outside of Waterdeep to tell them about Sansuri, since his wife is friends with the villainous cloud giant. When Nimbolo is alone with the characters, the desert giants strike, with the intention of taking the cloud giant’s head back to Zeif. Nimbolo joins the fight alongside the characters. The desert giants fight until one of them falls, then the other two grab their fallen ally’s body and flee. If captured, a DC 14 Charisma (Intimidation) check convinces the giants to reveal Emir Ayla Zeif has read the inscriptions on the skin of elder desert giants and ordered the warriors of her tribe to seek the heads of cloud, fire, frost, hill, and stone giants in order to recover lost knowledge. They do not know the specific purpose of the heads and under no circumstances reveal the location of Dorsnarg Pyramid. Add a pillar carved with the scene of a living desert giant inscribing runes onto its flesh and looking upon the body of a deceased desert giant. Add a statue of the desert giant god, Grumbar, to this room that carries a bronze falchion (weighing 700 pounds). Add a stig (light) rune to the archway that corresponds to the falchion. The stig rune’s trap corresponds to desert giants. When triggered, two sunburst spells go off at the same time, and the entire room is each spell’s area of effect. Add the following question and answer. The silk scarf relic in Morgur’s Mound and scorpion tail in One Stone correspond to Zeif. Add the following text to the “New Giant Options” section. Whirlwind Attack (Recharge 6). The giant makes a falchion attack against every creature it can see within 10 feet. Part II – “Pyramid of the Desert Giants” coming next week! Have Spellbook, Will Travel Episode 3-2: No, Seriously. He’s Dead. Uh-oh… FLASHBACK TIME. In this episode you’ll learn about a young(er) Filigrin, a little bit about TAG’s history, and hear the word “phylactery” like six more times.